This well maintained and managed complex offers a variety of accommodation for June, July & August ranging from 3 sleeper apartments to 6 sleeper houses. 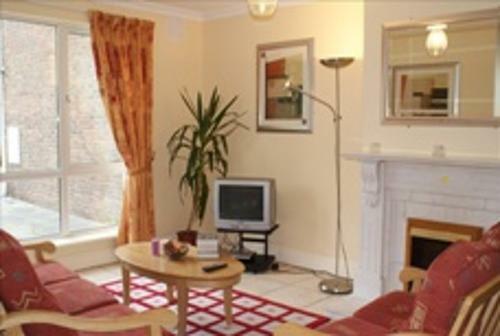 All accommodation is fully fitted & furnished a high standard. Kitchens include: oven, microwave, fridge/freezer, Iron and all necessary crockery, cutlery and glassware, Lounge Area has cable TV, sofas, lounge table and tall lamp. Bedrooms are fully fitted with wardrobe, desk and ample storage. Bed linen & towels are included in the rate. • Security on site outside office hours to facilitate late arrivals and act as point of contact 7 nights per week. • Telephone in each house/apt with your own direct-dial number. Outgoing calls can be made with pre-paid call cards. Freephone local taxi & pizza line.